It may not be obvious at first, but investing in real estate is actually all about relationships. There is the relationship between your property and your location, the relationship between the government and your investment, and then there is the most important one: the three-way relationship between the landlord, the property manager and the tenant. If this is an effective relationship, it will have benefits for everyone: the tenant will have a great place to live, the landlord will have regular rental income and the property manager will have happy clients on both sides. However, when this relationship goes wrong, it can affect the viability of your entire investment. Here’s some more information about this investment relationship and how you can get it right. From a purely financial perspective, a tenant is a landlord’s source of rental income, the steady supply of money that can hopefully result in a cash-flow positive investment. As you can see, managing a landlord-tenant relationship can be incredibly involved, and the list above is just scratching the surface. However, that’s usually where a property manager comes in. For a tenant, a great property manager is a responsive professional who gets things done and for a landlord, a property manager saves them time, money and stress. Just like a lawyer or an accountant, landlords should look for a qualified, specialised and local property manager. 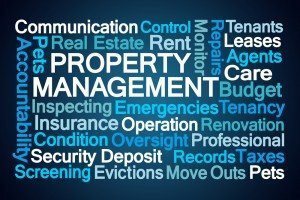 It’s important that the property manager prioritises communication, accessibility, low vacancy rates and comprehensive services. A property manager should be able to help a landlord maximise their ROI in a range of ways, from competitively pricing their rental to selecting the ideal tenant and performing property inspections. Certain guarantees can also go a long way in setting a great Auckland property manager apart. Above all else, a property manager will offer great communication and services for both the tenant and the landlord, ensuring everyone is happy and profiting from the arrangement. The landlord, the property manager and the tenant truly are a trilogy, and like any great trilogy, the one in the middle ensures the best results. For the finest property management services in Auckland, talk to Walker Weir Property Management. We are a locally owned and operated team that is proud to offer a no-risk rental guarantee. For tenants and landlords, we truly offer the very best. For more information, contact Walker Weir online or call us on 09 972 1212.